NC Headshot Studio is The Triangle's Leading Premiere Professional Headshots & Portrait Photography Studio located in Durham, North Carolina with studios in both Raleigh & Durham. NC Headshot Studio serves the Raleigh, Durham, RTP, and Chapel Hill areas. We specialize in Professional Headshots & Business Portraits. Our clients range from Duke University Hospital Doctors, IBM, SAS, BIOGEN, and many many more business leaders and organizations located in the Triangle / RDU areas. The NCHeadshot Studio team are comprised of some of the premiere Visionaries and Creatives in the photography industry. Our team members are masters of their designated crafts of Photography, High End Retouching, MakeUp Artistry, Hair Styling, and Studio Operations. We are excited to work with you! Your New Professional Headshot Awaits!! Antonio Martez, is a New York based Fashion and Beauty Photographer with homegrown roots to Eastern North Carolina. Antonio is a BRAND BUILDER, CREATIVE STORYTELLER & DIGITAL INNOVATOR who develops and explore ideas for international clients by weaving words and images into simple narratives and visual stories. In 2008, Sheon Wilson launched her makeover feature in The News & Observer, "Refresh Your Style". Sheon has made over dozens of News & Observer readers who were tired of their same old routine. Sheon shopped with them, picked new outfits and consulted with them, that changed their personal appearance and visual outlook. Sheon is certified in color analysis, and been fascinated to see how color theory can help herself and others dress and feel better about their personal appeareace. Nafisah Carter is the owner of Nafisah Beauty Boutique located in Raleigh, North Carolina. Nafisah is highly regarded as a celebrity hair stylist and hair extension specialist. She holds a So Cap USA certification along with many others for hair extensions and is a Redken Certified Haircolorist. Some of her professional accomplishments include styling for BET's Black Girls Rock, BET Experience, Logo TV's New Now Next Awards, and The Rickey Smiley Show. 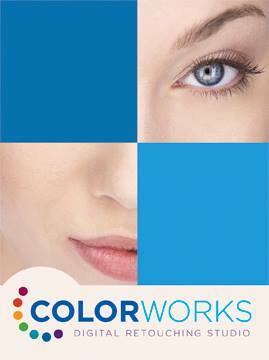 Colorworks is a digital retouching studio located in New York City. Retoucher, Joe Barna has over 30 years experience retouching photography. Joe & Team can color correct, remove blemishes, fix makeup and hair, and add those subtle finishing touches to your photograph while providing you with the best quality image possible. George Andrews, is the First Assistant to NC Headshot Studio Photographers and to Antonio Martez Photography. George also is an accomplished portrait photographer as well. Nicole Allen, is the Director of Financial Operations for NC Headshot Studio. Nicole has over 15 years in corporate product management. She brings a wealth of knowledge in revenue generating, product development, and business finance. Nicole also is the founder of JeanMarie Tea Co., located in the heart of the RTP area. Nohelly "Nelly" Brito, is the Production Manager for NC Headshot Studio & Antonio Martez Photography. Nelly brings over 10+ years of operations management experience to NC Headshot Studio & Antonio Martez Photography. Lauren Jacobs, brings over 10+ years to the team of NC Headshot Studio as a bookings manager and studio production manager.